ARE YOU A PERFORMING ARTIST ? Do you have creative ideas for arts production on SDG5, gender equality and women’s empowerment ? We would like to exchange with artists, brain storm and heart stream on creative ideas for performing arts production on SDG5. Performing artists may present their idea through a 3 min performance or presentation, first, and second joining a group brain storm/heart stream process, along a casting session. ADDRESS:Padualaan 8, 3584CH, UtrechtInc @ Utrecht Science Park. 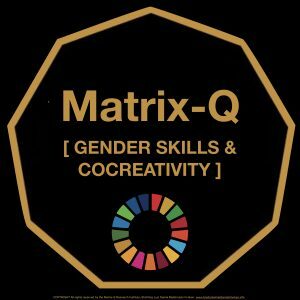 The Matrix-Q Research Institute will sponsor the production process.